They say diamonds are a girl’s best friend. No longer! 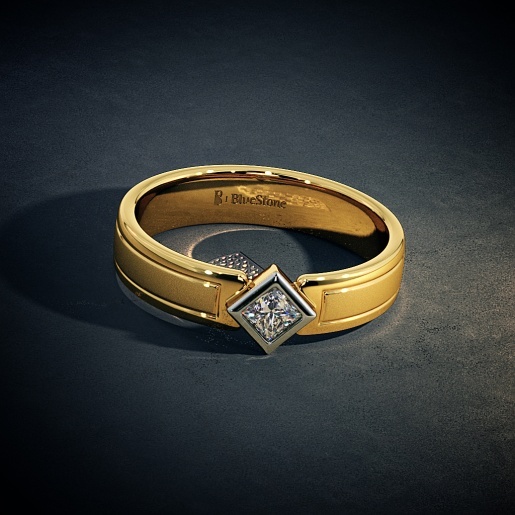 Diamonds are now worn with panache by both women and men. 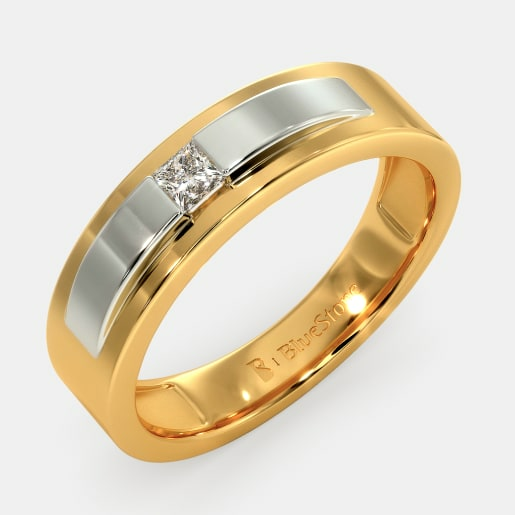 In fact, men’s diamond engagement rings are the best way to proclaim to the world that you are engaged and are taken. No longer is she, your fiancée, the only one to have a token that seals your relationship. 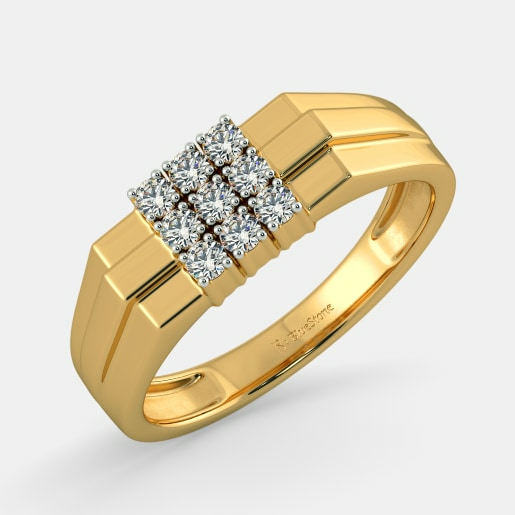 You get to have a stylish, masculine version of the engagement ring that makes her commitment and love to you apparent to your family, friends, relatives and acquaintances. In fact, women, make sure you buy a men’s diamond engagement ring for your man while picking out yours so that he no longer has an excuse to flirt (wink!). 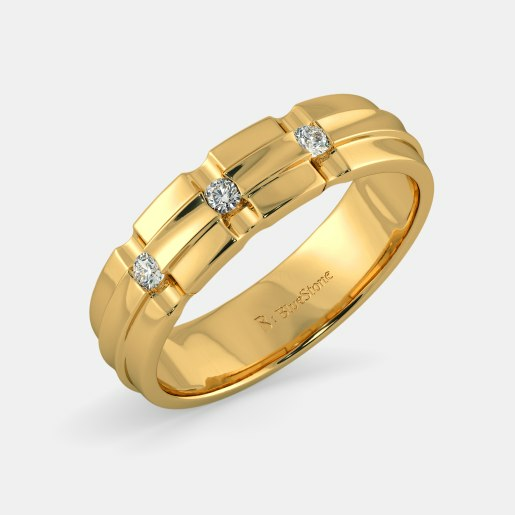 An engagement ring is a gift to your prospective partner that is also a pledge of your love. 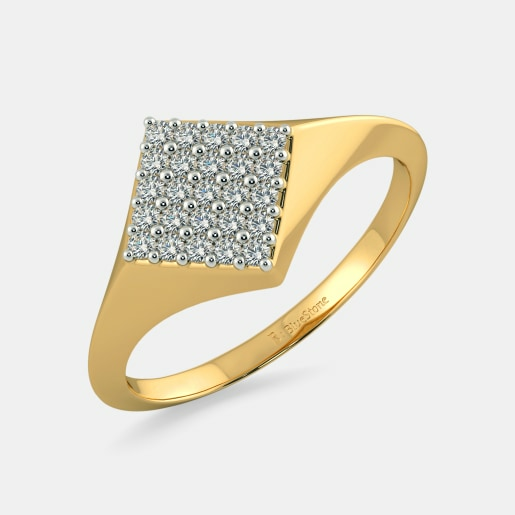 In certain parts of the world including certain areas in India, it is traditional for both the prospective bride and groom to give each other rings when a marriage is arranged between their families. This is not just a promise of a future commitment to each other, but a way of cementing the relationship between the two families. 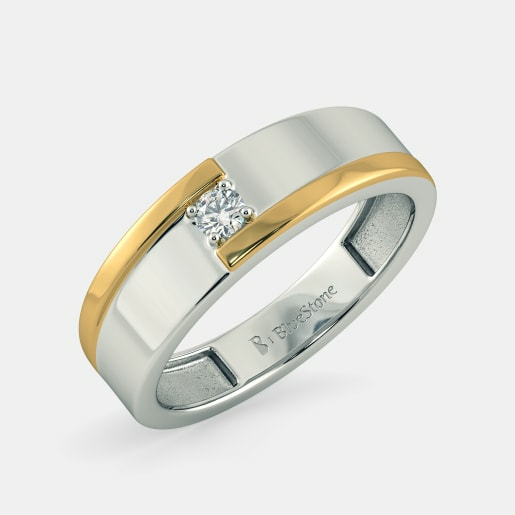 The men’s engagement ring is sometimes called a management ring. They have been around from the 1920s. Jennifer Hudson, the famous American singer, has custom-made Neil Lane diamond ring for her fiancé in 2012. 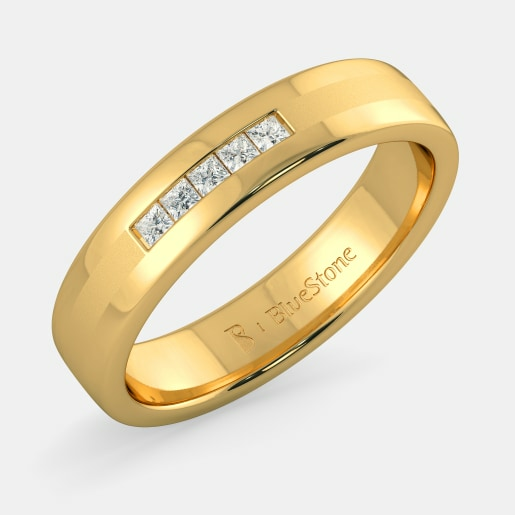 You do not have to worry about choosing a ring and customising it as there is a range of options to choose from. 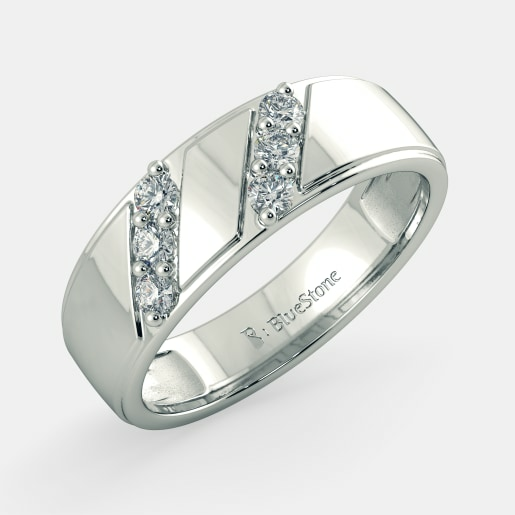 BlueStone, the leading online jeweller in India, has made choosing an engagement ring for men simple by offering men and women an opportunity to shop together without leaving the comfort of their homes. 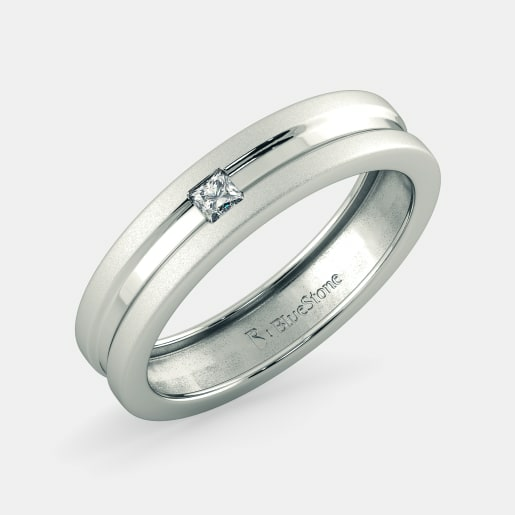 Yes, we let you buy men’s diamond engagement rings online with ease. 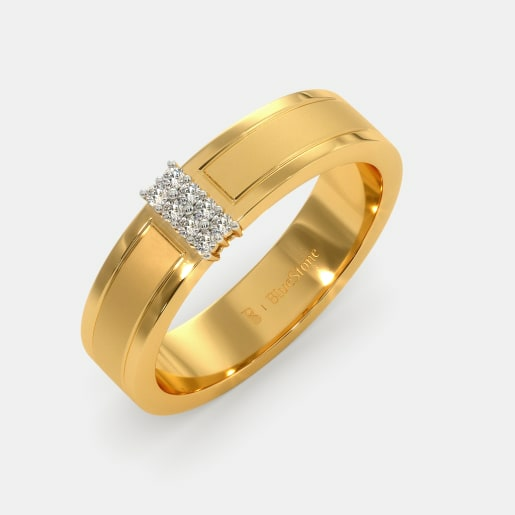 Since men’s engagement rings are still not as popular as women’s engagement rings in India, you may not be comfortable choosing an elaborate design for your engagement. 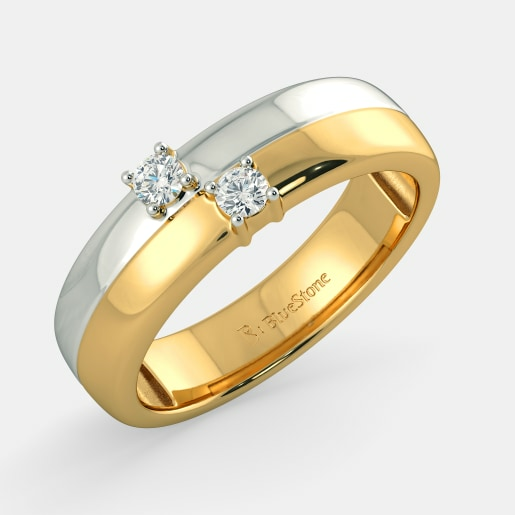 Therefore, you have the perfect design in the Orar Ring or the Kayon Ring available at BlueStone. 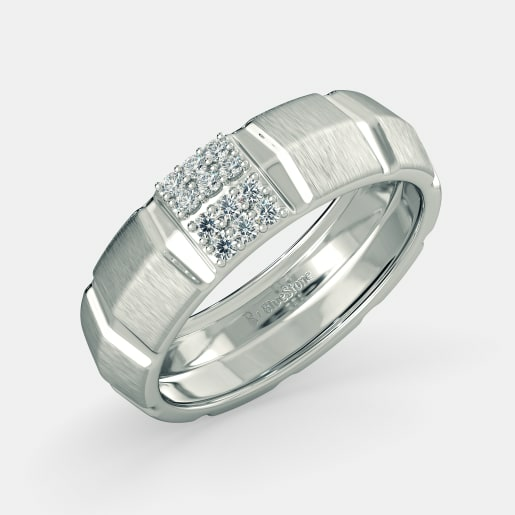 The Orar Ring is a simple 18kt white gold ring with a single diamond set in the middle. 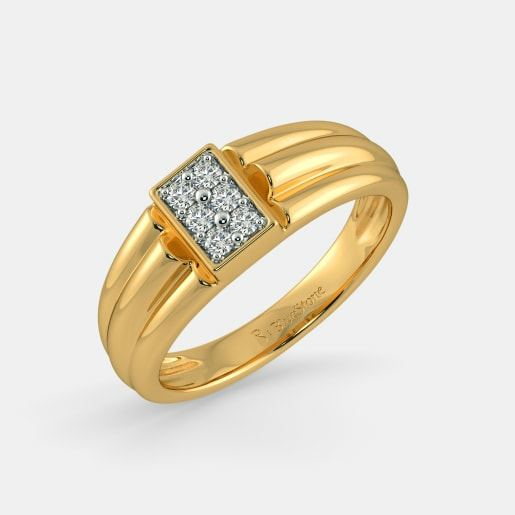 If you want a slightly traditional look, the Kayon Ring is an 18kt gold band with a single diamond set in the middle. 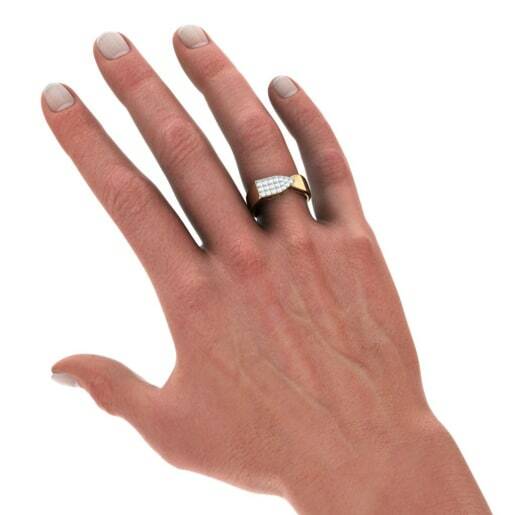 However, if you want more diamonds on your ring, you could buy the Hardy Boys Ring. 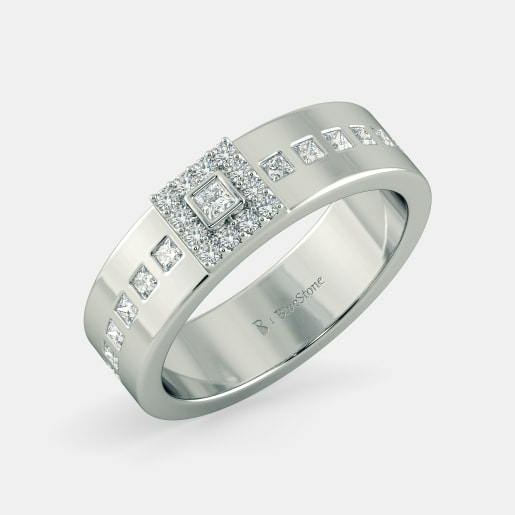 This one has three diamonds set in 18kt white gold and the design is plain enough to pass muster with friends and relatives who may not be on board with the idea of buying an intricately designed engagement ring for a man. 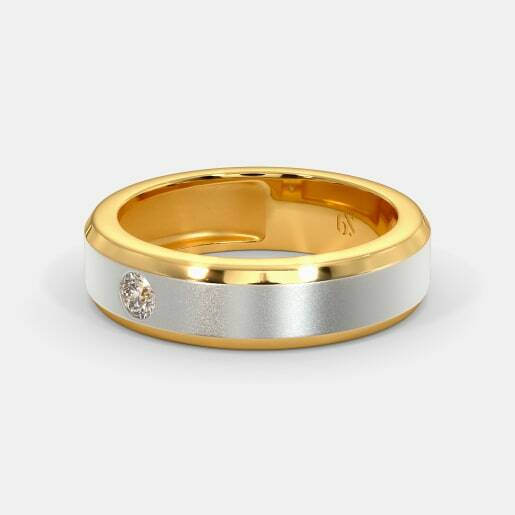 In the world of men’s fashion, the two-tone ring is all the rage now, especially when it comes to men’s diamond engagement ring designs. 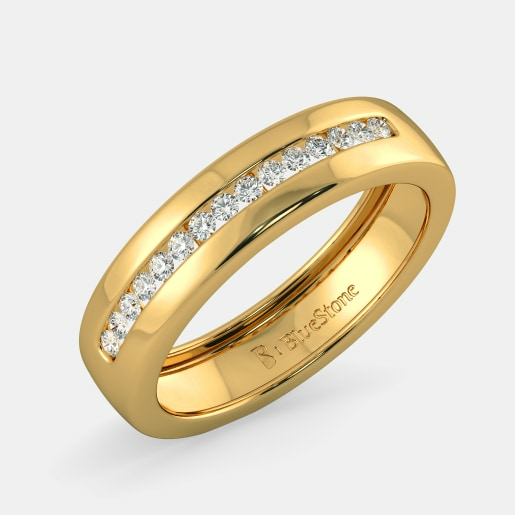 The Confident Male Ring and the Firm and Swanky Ring are two rings that have both yellow and white elements that make them pretty awesome design-wise among the BlueStone men’s engagement ring collection. 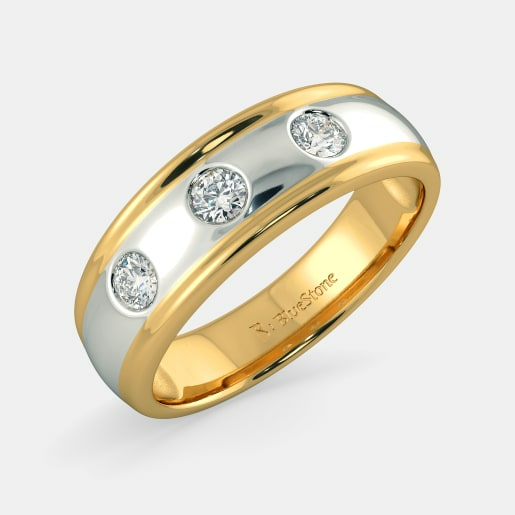 While the Confident Male Ring has a raised white band embedded with a diamond in a gold background, the Firm and Swanky Ring has two thin yellow lines converging from opposite sides towards the diamond embedded in its 18kt white gold body. 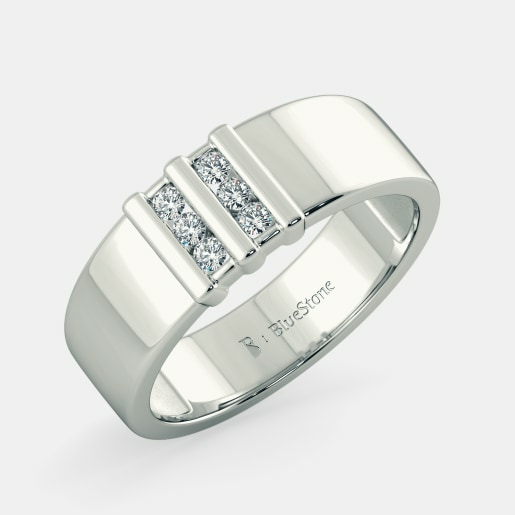 There is no other way to describe the Reverent Luxury Ring and the Euphoria Band – they are mannish. 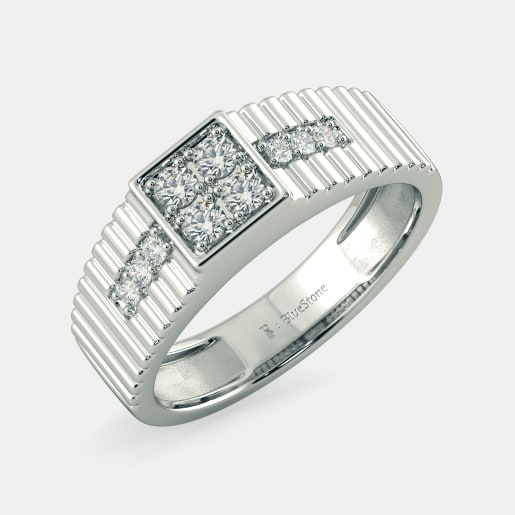 The Reverent Luxury Ring is an 18kt ribbed white gold band with a square face set with diamonds. 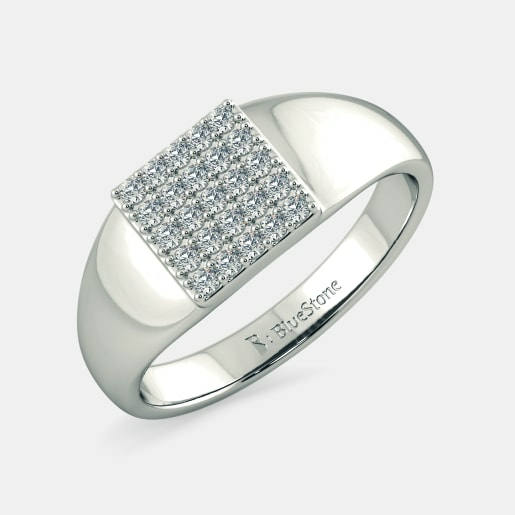 The Euphoria Band is made in 18kt white gold with square set diamonds embedded in it. 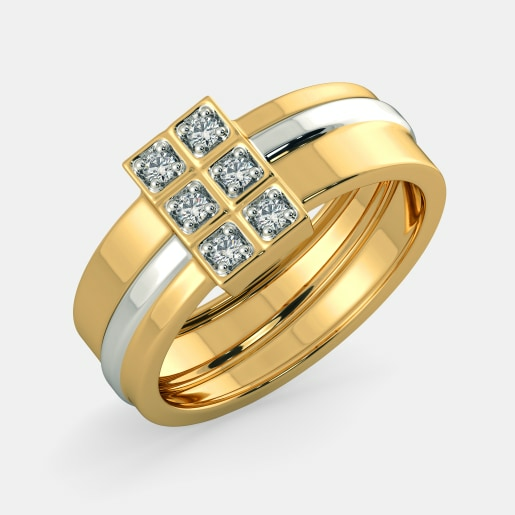 The best part of the deal is that our men’s diamond engagement ring prices are as appealing as the designs. Browse through our range and buy a design that fits your pocket and suits your style needs. 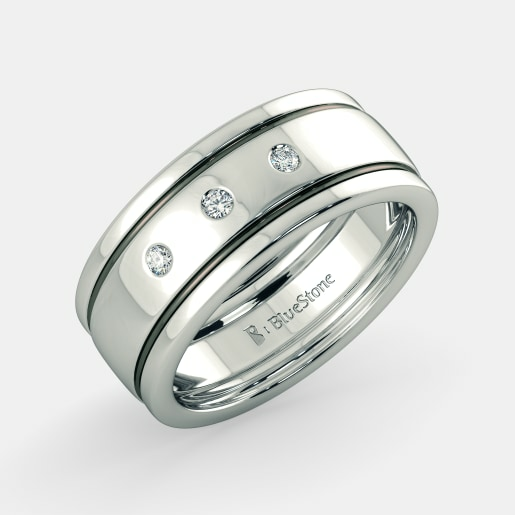 Proclaim your relationship status to your family, friends, co-workers, and acquaintances with a stunning BlueStone ring.